Managed Services reviews by real, verified users. Find unbiased ratings on user satisfaction, features, and price based on the most reviews available anywhere. AWS Managed Services provides ongoing management of your AWS infrastructure so you can focus on your applications. By implementing best practices to maintain your infrastructure, AWS Managed Services helps to reduce your operational overhead and risk. 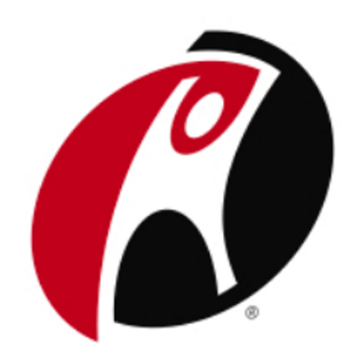 Rackspace is a provider of IT as a service, which delivers certified expertise and integrated managed services across public and private clouds, managed hosting and enterprise applications. Put technology to work for your business with RDX - the #1 onshore provider of managed Database, Cloud, OS and BI services. 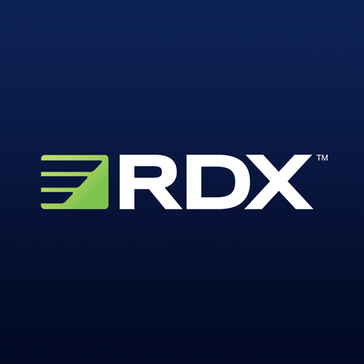 From initial system design and implementation to ongoing support and 24/7 monitoring, RDX is your trusted digital partner, uniting people, processes and technology to boost agility, optimize operations and deliver competitive advantage. RDX provides 24x7, 100% US-based managed services to hundreds of clients, both on-premise and in the cloud, across a wide range of database environments, including SQL Server, Oracle, MySQL, PostgreSQL, DB2, and MongoDB. RDX also provides cloud migration and management services for Microsoft Azure, Amazon AWS, and Oracle DB Cloud environments, helping customers fully leverage the benefits of hybrid cloud architectures. As a certified Oracle Platinum Partner GSI, Inc. (GetGSI.com) specializes in providing a broad spectrum of business, functional, and technical consulting services for Oracle JD Edwards, Oracle NetSuite, Oracle Cloud, Salesforce and other enterprise applications. GSI also offers an extensive array of cloud/hosting solutions for Oracle Cloud, Amazon Web Services (AWS), Microsoft Azure and JDE Cloud9. Prometric, is a trusted provider of market-leading technology-enabled test development and delivery solutions. SageNet designs, implements and manages fast, secure and reliable networks that empower organizations to achieve their core business objectives. Spiceworks MSP helps to manage services software that provides multiple remote networks scanning, tickets management, and activities reporting. 8KMiles is a solutions company that is focused on helping -organizations of all sizes to integrate Cloud , Identity and Big Data into their IT and business strategies. Wise-Sync synchronises accounting data between ConnectWise and cloud accounting software Xero and QuickBooks Online. Wise-Sync and Cloud Accounting can help capture many efficiencies across business, giving you an up-to-date, real-time indication of financial situation. ANM designs, implements, and supports solutions from providers of technology, including Cisco, EMC, Microsoft, Citrix, and VMware. Axians provides all customers, whether businesses, governmental organizations and service providers, with a unique array of solutions for designing, implementing and operating their ICT infrastructure. Barchart Data Management Solutions power the integration, aggregation, distribution, and maintenance of users data. Barchart's Data Management solutions combine Barchart's data with the clients proprietary data and deliver all of this content exactly how the organization needs it. With diverse coverage of core financial data users can cut redundant costs integrating and maintaining data that isn’t mission critical to their business. To monetize users data assets, Barchart integrates with users internal datasets and builds APIs to deliver this newly productized data to users – both external and internal. Barchart manages and hosts the solution, but users retain full control of customer relationships and experience. BlueAlly helps clients scale, optimize, and manage IT capacity to reach their business goals. Bulletproof is a cloud provider, providing Managed Cloud services to business, enterprise and government customers. CAS Severn provides clients with insight and best-in-breed technology so they can meet their goals for growth and success. CenturyLink® Managed Services provides skilled IT professionals across a variety disciplines to help you get the most from your IT ecosystem. Leverage skilled and experienced technical specialists, support managers and technical advisors to manage your network, hybrid hosting environments, applications and business continuity strategy and execution. Network Management – our network technicians can help maintain and manage your network ecosystem so your IT team can focus on innovating your core business offerings. Get the most from every mile, ensuring that your network is secure, reliable, and connecting your business to your partners and customers. Infrastructure Management – To keep pace with today’s rapidly changing technology, you need a trusted infrastructure partner helping you align your legacy and modernized IT infrastructure systems with your business objectives. Embracing a managed IT infrastructure model allows you to deploy modern technology reliably with the assurance it will respond to your business needs. CenturyLink IT experts can manage your infrastructure on-site or remotely, so that your systems keep pace as your business needs change. Multi-Cloud Management experts can help optimize your workloads and connectivity across your hybrid cloud environments for optimizing governance, agility and security without sacrificing availability or resources. Operating System Management experts can help maintain and manage your Windows and Red Hat Cloud servers 24x7. Application Management & Development – Optimize the applications that you rely on to run your business with CenturyLink Application Management & Development services. Application Development and Maintenance, Managed Applications (Database and Web Applications) services. Business Continuity Management – Mitigate risk, protect your brand, and avoid the enormous cost of IT downtime that can result from natural or manmade disasters. Our disaster recovery managed services allow you to restore normal business operations within minutes of failure, giving you greater confidence that your applications and data are secure. A Cleo Managed Services subscription offers a secure and flexible alternative to self-managed integration that easily scales B2B operations within a cloud environment. Outsourcing B2B activities to Cleo frees internal resources to focus on critical business initiatives, eliminates manual processing, provides total control and visibility over your data, and scales to easily handle peak demands without disruption. Contact One Communications, Inc. is a veteran-owned IT Consulting and System Integration company. Cleardata is one of the biggest scanning bureaus in the UK. We're set up to handle bulk document scanning services, using Kodak i5800 scanners and capture over 36 million images every year. From concept development, digital modeling and virtual testing to rapid prototyping and value engineering, Hitech enables engineering clients to successfully launch new products on time, reduce development schedules and remain competitive in the market. eStruxture offers managed colocation and IT infrastructure services. Expedient offers a wide range of managed services such as server virtualization, remote backups, management of equipment, storage area networks and more. Fulcrum Analytics offersanalytical consulting, big data platforms and agile enterprise applicationsto drive real business impact. GTTs Managed Services portfolio helps from network monitoring to cloud and premises-based security and customized compliancy packages, to free up valuable enterprise IT resources while providing IT expertise and support at a lower total cost of ownership. HarborCloud is an Cloud Service Provider (CSP) with a focus on hosted virtual desktop solutions. 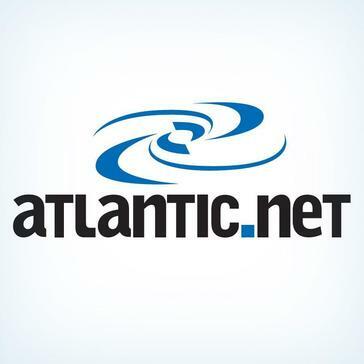 Hurricane Electric is an Internet service provider offering IPv4 and IPv6 services. Moving IT tasks to managed services of iDalko ensures you can avail the industry best practices for Linux, IT standardization, and Atlassian application support. 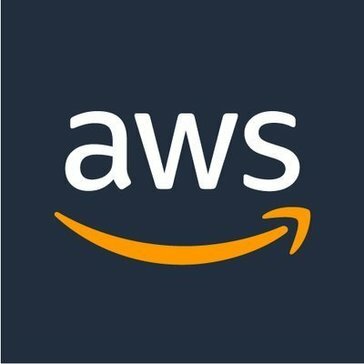 With INAP Managed AWS, certified engineers and architects help you secure, maintain and optimize public cloud environments so your team can devote its efforts to the applications hosted there. With INAP Managed Azure, Microsoft Certified Engineers help you secure, maintain and optimize your public cloud environment so your team can devote its efforts to the applications hosted there. Mulitcloud management solutions are tailored to your compute and storage needs, with solution engineers and expert support technicians to guide you through every stage of this transformational IT strategy. Infosys helps clients bend the cost curve by analyzing their applications and infrastructures, and committing to specific cost reduction targets while improving service levels and business agility. Managed services add value with predictable expense and improved outcomes. Softchoice's Keystone Managed Services portfolio provides a comprehensive support strategy based on each client's unique business requirements, so energy can be refocused on innovation. Luma Systems offers IT infrastructure services and solutions. Digital Industry offers a broad range of fixed-rate IT consulting, managed services and support. LAN and WAN management both voice and data Computer services, and help desk solutions and computer repair Business Continuity Planning VoIP [voice over Internet Protocol, IP telephony] Virtualization [virtual computer hardware platforms, storage devices, and computer network resources] Security & Compliance [Email/Spam Protection] HaaS [Hardware as a Service] Hosted Solutions Cloud Computing Backup & Disaster Recovery Serving Maryland, Washington DC, and Virginia as well as the continental United States and Internationally. ManageForce is a Cloud, ERP and Data Solutions Provider that specializes in digital transformation and business optimization. Maintenance Manager works within the constraints of the limited use license by utilising the internal HSQL database to store the maintenance records and this incurs no extra Netcool licensing costs.The maintenance window definitions consist of fields used to match incoming alerts to a particular window e.g. a maintenance window can be configured to apply to all alerts issued from a specific Node. The functionality offered by Impact means that the matching performed can be more flexible, such as supporting the use of regular expressions. Policy Pro is an insurance broker management system, CRM & financials. Protocol empowers professional B2B marketers to create world class demand creation programmes by providing research and analyst advice combined with cutting edge MarTech Managed Services. PSI delivers all computer-based examinations via our state-of-the-art test generation software and integrated test development/test generation system at our secure Premier PLUS test centers. Redfaire helps companies to build leadership positions by leveraging the power of Oracle technology. Specializing in Oracle ERP - JD Edwards EnterpriseOne, World Software, and Oracle ERP Cloud Redfaire helps large, multinational companies and ambitious SMBs to implement and optimize Enterprise Resource Planning systems across EMEA. Redfaire has offices in France, Ireland, and the UK. Smartbridge is a one-stop partner for JD Edwards EnterpriseOne and World functional and technical long-term support needs, including CNC, development and QA. Hi there! Can I help you find the best Managed Services solutions?